Hi, did you know that you can change the bland colour that is modelling clay? Well, I have experimented with that lately and I got some pleasant results. As a Designer for Creative Paperclay® Air Dry Modelling Material I get a lot of product to work with and I need to come up with creative ideas. So, one day I was playing with some Creative Paperclay®, which by the way is very zen like, and out of the corner of my eye I saw a paint bottle left out from a previous project. I wondered about this for a few seconds and I thought why not? 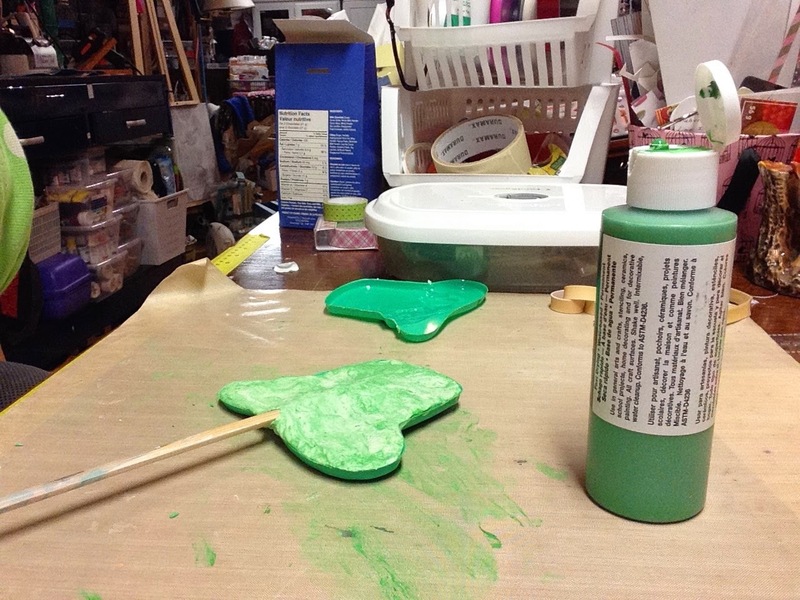 Well, not only does dry paperclay® take paint very well it also takes it in its non dry state. 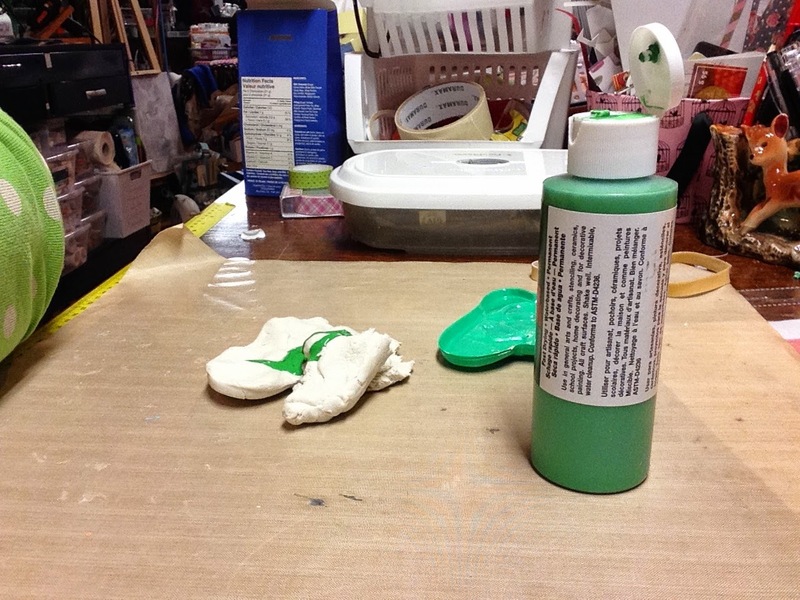 By mixing acrylic craft paint into the clay I was able to make a faux marble and a solid colour clay. It's simple, the more paint you add, the deeper the colour will be. The more you knead the clay, the more uniform the colour will be. Using the paint also gave me extra time to play with the clay due to the extra moisture. The total drying time of the finished piece wasn't much longer, barely noticeable. To see an example of my experiments you can see a completed project here and I also share this information here. The product is available at most Michael'scraft supply stores in Canada and the USA and also online here directly through Creative Paperclay®. Note that although this appears to be messy, if using acrylic paints it will wash off your skin.